You’ve seen it every where, red velvet this, and red velvet that. If you have red food coloring, you can have red velvet anything, or so it seems. I’m not sure why this bugs me so much. Go ahead and call me a hypocrite, we sell a red velvet cupcake. It seems red velvet is a very popular flavor right now, which got me to thinking, where did it come from? From what I’ve read, there was a time that food coloring wasn’t actually used in this recipe. The red was attributed to the reaction of the cocoa powder (not dutch processed) and the acid used in making the cake (in this case, lemon juice). During World War 2 they even used beets to add the red color into the cake. In modern times, we use red food coloring, and it takes a lot to turn the cake red. I’ve been wanting to try and make a red velvet cake without food coloring, so I set out to do just that this weekend. This weekend is a special occasion, our blog is turning 1 year old! I can hardly believe it’s been a year of cupcake experiments! I think a great way to mark the occasion is to share this recipe with you. I looked at a bunch of recipes online for a red velvet cake using beets, and took the items I liked best from each and created a recipe from that. I’m actually not a fan of beets, I think they smell and taste like dirt, but I like to try new things, and was willing to give this a go. We had a bottle of Boundary Bay’s Irish Red Ale in the refrigerator and decided it would be perfect for this experiment. It’s a great beer, and really, we just wanted to drink it. (But hey, it is red, so it works, alright?) We love our Boundary Bay beers. These cupcakes turned out interesting, to say the least. They are definitely moist, and also the beets make it very dense. The color is a deep reddish brown, and the taste is… well, it kind of tastes like chocolate covered beets, but not in a bad way! You get the hint of earthiness from the beets (along with the beautiful color), but you also get this soft chocolate flavor that goes well with it. This is probably the most moist cake I have ever baked, which adds to the whole experience. I’m still formulating my opinion on these, but they are definitely not your average red velvet cake. 2. In a blender (or food processor) combine can of beets (minus the liquid) and 1/4 cup of beer. Blend well until smooth, probably 2 minutes, depending on how powerful your blender is. Add egg, oil, lemon juice and vanilla to blender, blend for another minute until all is combined. If it’s too thick for your liking, add more beer. 3. In a large bowl whisk together flour, sugar, cocoa powder, baking powder, and salt. Pour blended ingredients into bowl and combine with a whisk or rubber spatula until mixed well together. 4. Put about a 1/4 cup of batter into each cupcake paper, bake for 20 – 25 minutes, or until toothpick inserted in center comes out clean. 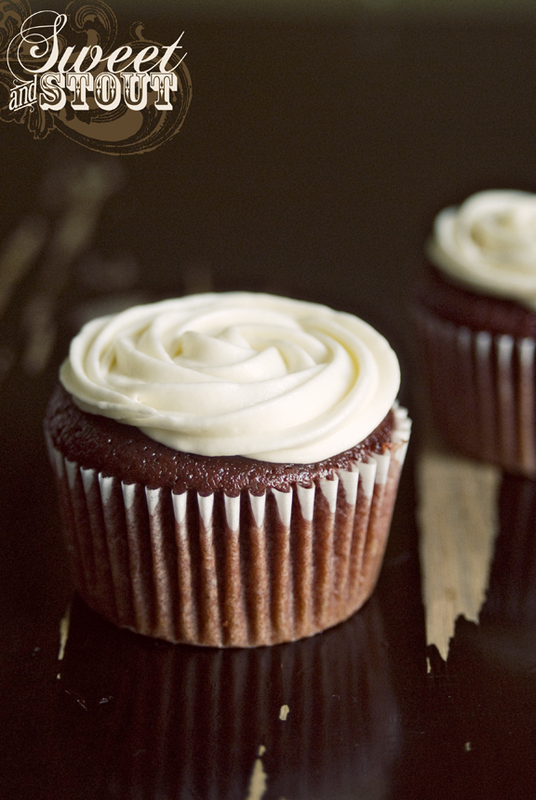 Wait until cupcakes are completely cool, then top with desired frosting. We used cream cheese frosting, which is quite delicious! This will make about 18 – 20 cupcakes. Happy baking! 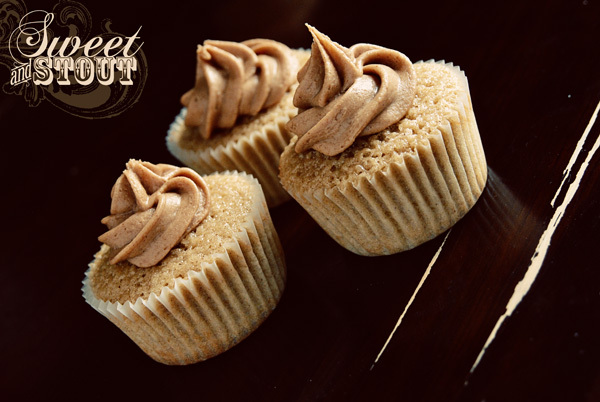 After the busy weekend we’ve had here at Sweet and Stout, I wanted to give you all a treat for following us along, and helping in our success. We really wouldn’t be where we are today without fans like you, we are very grateful! Saturday we baked 12 dozen cupcakes for the Steam Plant Grill for their Valentine’s Day Menu. 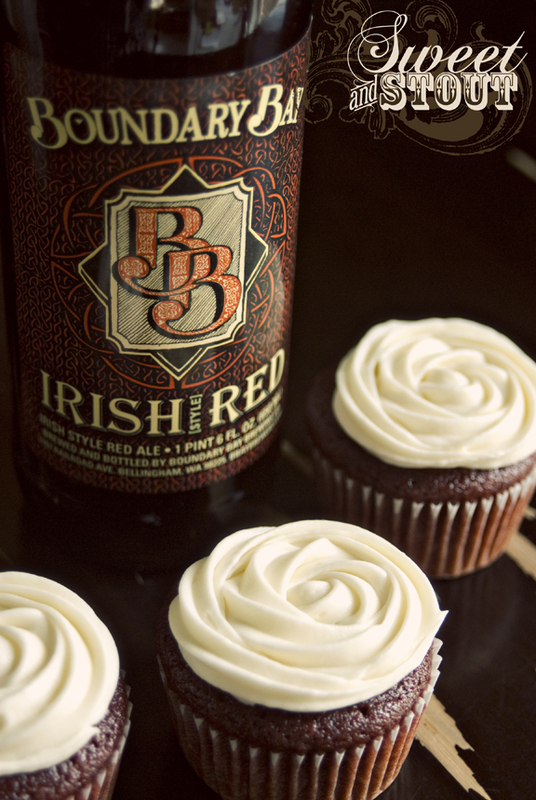 We’re hoping to become a regular dessert over there, so if you’re in Spokane, you should stop by, grab one of their delicious beers, and have a cupcake. We were pretty tired after making 144 cupcakes, but it was definitely worth the effort. Today I wanted to share with you a little treat that I made for a friend a while ago. 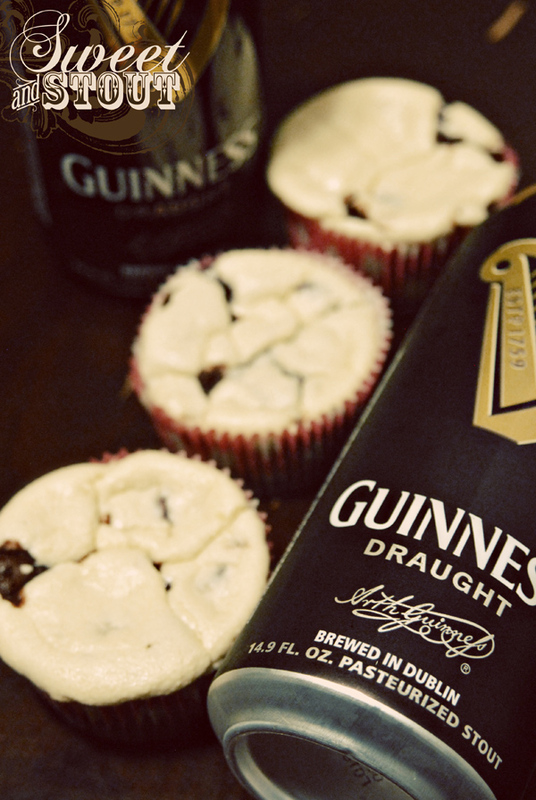 These are called Black Bottom Cupcakes, and the recipe is based off of this one from Women’s Day Magazine, with a Sweet and Stout twist, of course. 1. Preheat your oven to 350 degrees. Put cupcake papers in muffin pan. I believe this made a dozen full size cupcakes, but it’s been a while. 2. Start with the top ingredients. In medium bowl, mix cream cheese, egg, sugar, and salt using an electric mixer until creamy. Set aside. 3. Now for the bottom ingredients: In large bowl, combine flour, cocoa, baking soda, and salt. Use a whisk to mix it all together. Place beer, melted butter, vanilla, and vinegar together in a separate bowl and whisk together. Then take the liquid and mix it into your dry ingredients. Use mixer until combined. 5. Bake in preheated oven, 18 – 20 minutes. I didn’t do any kind of frosting for these, but it is definitely an option. 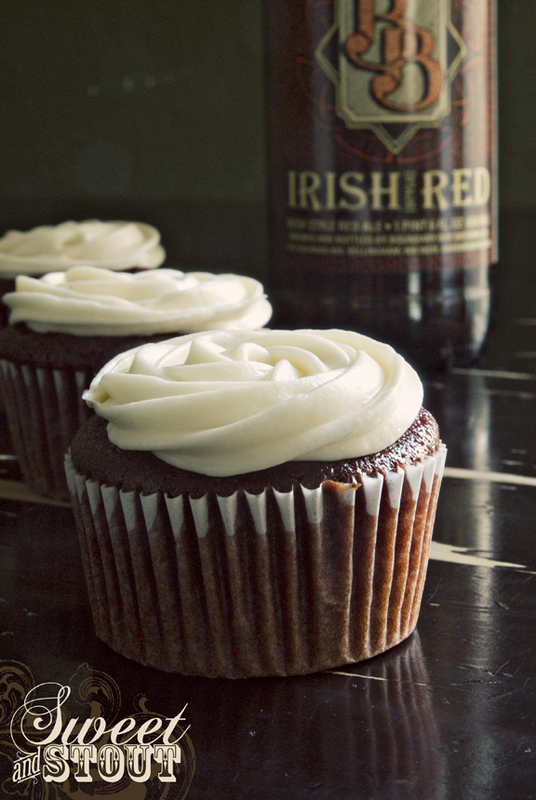 Maybe an Irish cream frosting would be tasty on top. That part is entirely up to you. 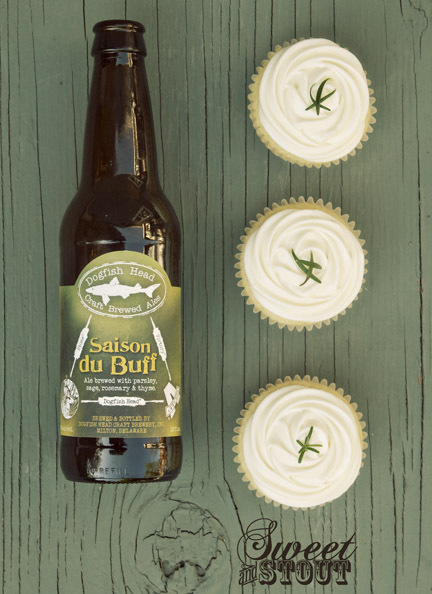 Thanks again for all the beer cupcake love you guys have given us! Happy baking, as always! This week we’re bringing you something a little different. 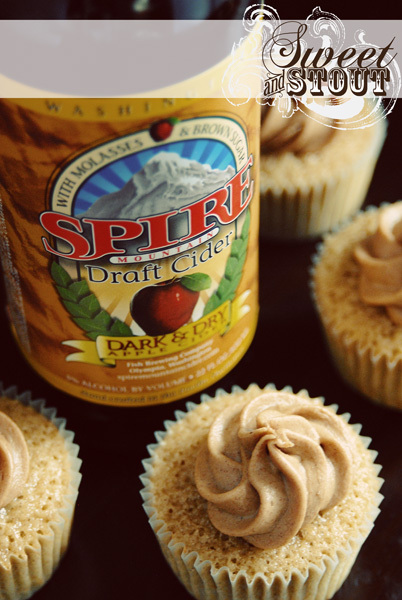 In celebration of fall, we thought we’d do an apple cider cupcake. 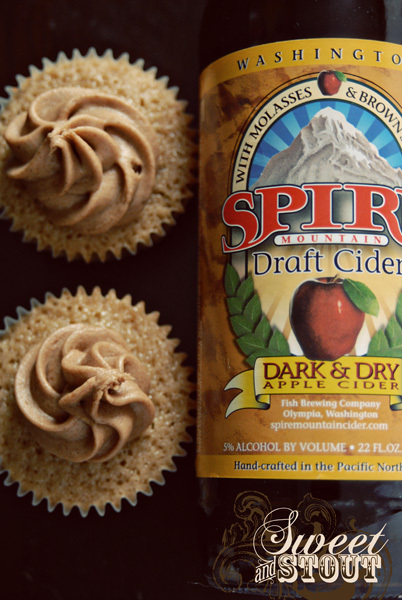 Of course, we wouldn’t be Sweet and Stout if it didn’t involve a little alcohol, so, we present to you these hard apple cider cupcakes made with Fish Brewing Company’s Spire Mountain Dark & Dry Apple Cider. That’s a long name for a delicious hard apple cider. 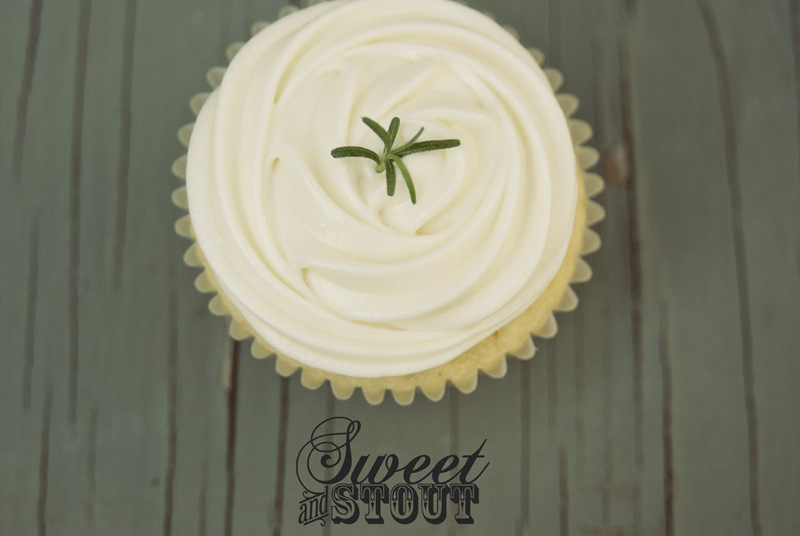 Fall is our favorite time of year, so this cupcake is fitting for the season. 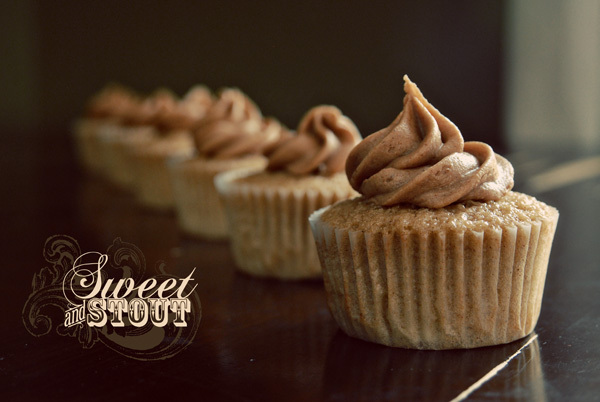 These cupcakes are dense, delicious, and filled with all the fall spices you’d expect – cinnamon, nutmeg, and cloves. They all compliment the cider very well. For the frosting we created an apple butter cream that turned out so thick, I could barely get it through our cake decorator. Interested in giving these a try? Well, here’s the recipe! In large bowl, combine butter and sugar until creamy. Add eggs, one at a time and mix well after each. Combine flour, salt, baking powder and spice in separate bowl, stir with whisk, set aside. Measure out cider and add 1 teaspoon of vanilla to it. Add dry ingredients alternating with cider mixture to batter. Start and end with dry ingredients. 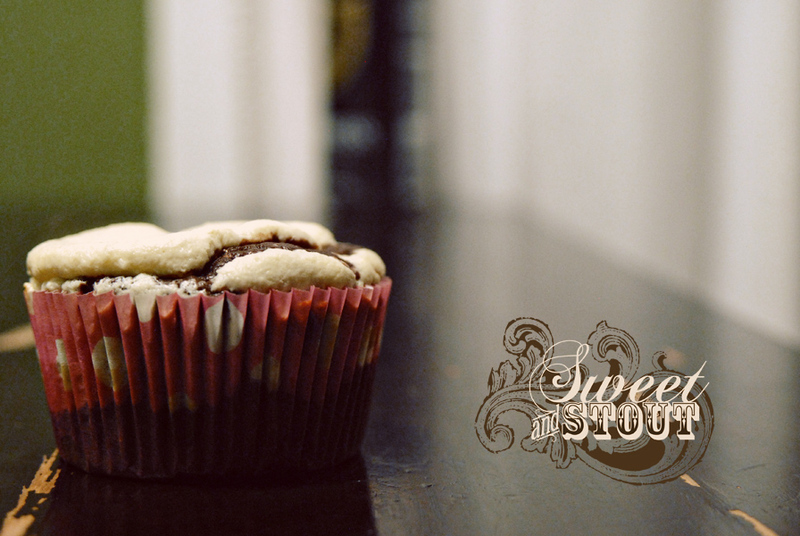 Scoop batter into lined cupcake papers – 3/4 way full. Bake in preheated oven for 23 – 25 minutes, or until toothpick in center comes out clean. Let cool in the pan for 5 minutes, then remove. Melt the butter in a sauce pan, add apple butter and brown sugar. Bring it to a boil until sugar is dissolved, should be a couple minutes. Keep at a medium heat. Add milk and cinnamon, stirring until dissolved. After frosting has cooled to room temperature, add powdered sugar, 1/2 cup at a time and mix with electric mixer. 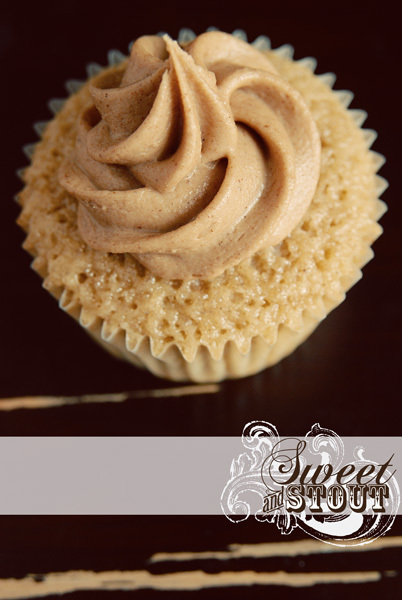 After all the sugar is in, place in the refrigerator until the frosting reaches the desired thickness. Frost cupcakes when they are completely cooled.